Why rent a car on little ol’ Kauai? There are so many reasons to take full advantage of a rental car on Kauai, that we hesitate to try listing them. So let’s begin with some of our favorites. 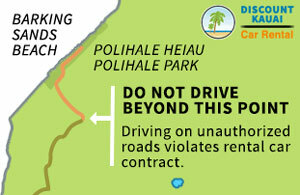 Driving on Kauai is uncomplicated. Speed limits are low and distances aren’t far. It’s an island. You can’t get lost. Because of all the places to park and explore, you’ll never spend long in your car. Everyone (except an occasional tourist) got the memo: We’re on “island time” here. No matter how many times you’ve been here before, The Garden Isle is always a treat to visit. 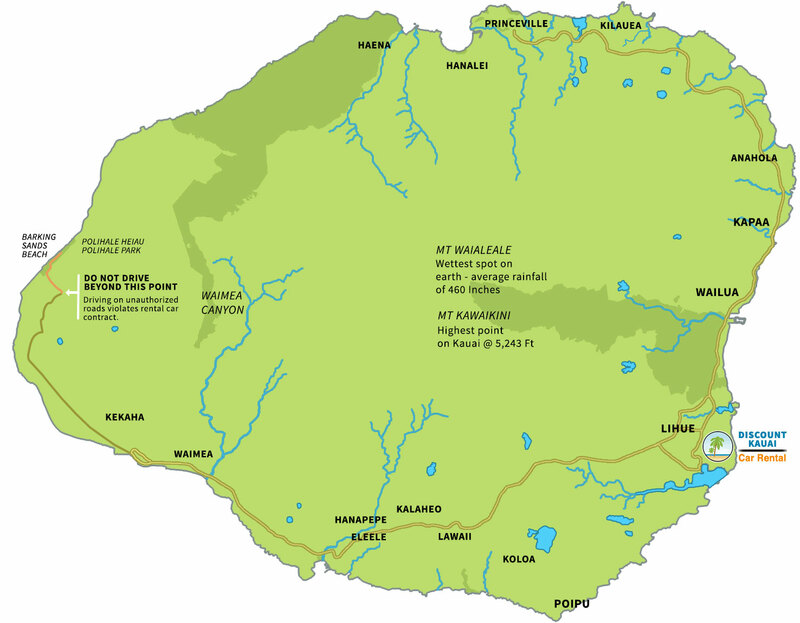 Although a small island, Kauai has distinctive climates, north and south. It’s interesting to experience how different they are, especially since they are so close, mileage-wise. And, the west and the east sides hold ever-changing scenery that you won’t want to miss because you lack transportation. Grab a cheap poncho at one of the shopping areas if you worry about rain. As you drive west, the island takes on a magical aura that has been explained by a "change in the light". Whatever causes this-- don’t miss driving the north side of Kauai. Be sure to stop in magical Hanalei. The town boasts some great places to grab lunch. We love the Dolphin. Driving your rental car between the north and south shore will put you on the east coastline. This is your best bet for any major shopping you’ll need to do. You’ll have arrived at the airport here. Also, you’ll find all govt. offices and a hospital here. Don’t overlook the roadside stands selling local produce. For those of you staying in a condo, the tropical produce you’ll find on Kauai is unbeatable. At the Spouting Horn overlook, you can view turtles from above the shore. We like to snorkel and find it rare to be in the south shore waters without having to stop and let a turtle swim up to us for a look-see. Our favorite elegant dinner location on Kauai is Kiahuna Plantation Restaurant and Bar. The Sheraton Kauai and the Grand Hyatt Kauai are also fun to visit, whether you stay there or just stop by for a drink at sunset. 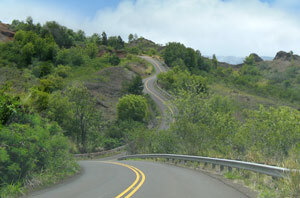 The south side of Kauai is also the main route to Hanapepe and Waimea Canyon State Park. The south to west drive is one that you’ll want to be able to take yourself. As with all of Kauai, this is a wonder of places to discover. If hiking appeals to you, an entire day can be spent at Waimea. And, on your way back to your condo, you might do as we have and stop in Hanapepe to get some fresh fish for the grill. If tours are on your itinerary, a rental car will get you to and from them more easily than a resort bus. You might not have to get up as early in the morning and following your tour, you can return to your lodging at your own pace. Want to learn more? Get a free, car rental specialist response today! Click the "RENT" button next to the vehicle you are interested in.